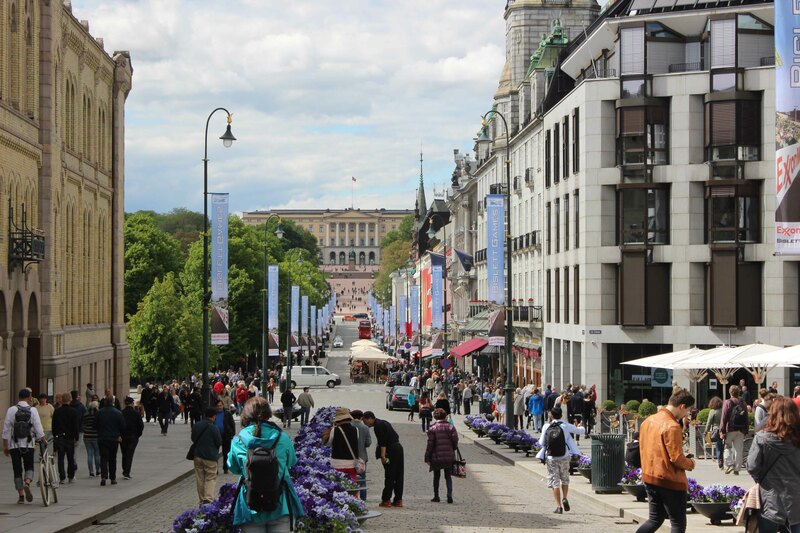 Michelle and I have been lucky enough to travel to quite a few European cities thus far in our trip, and one of the things that has always struck me as important to my enjoyment of any given place is whether it has that one street. You know, that street. The one with the energy, the crowds, the centrality, the look and feel of a public place that is actually used and occupied and even needed by the public. You may even have that street where you live. These great streets of the world often spill over into parks and squares and even beaches, and they look and feel as many different ways as there are great cities. They can be small, often relative to the city – but even small ones can burst with energy. It doesn’t seem to matter where you are; you should attempt to find that street. I am going to attempt to put together a list of these streets here. I’m sure I’ll miss a few, and I’m doubly sure that our favorites are probably going to be different. But here goes anyway. 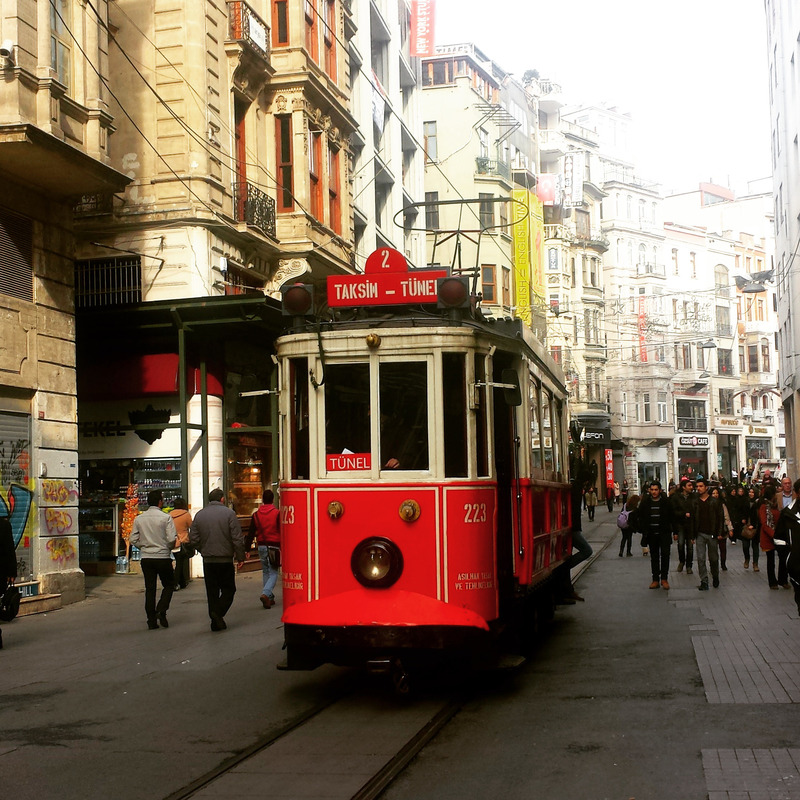 Probably the best way to describe Istiklal is by noting that it has everything I should hate, and do hate elsewhere, like massive crowds, lots of shopping, traffic scofflaws, and various shop touts. And yet I love it. Whenever I’m gone I want to go back. It makes no sense, and it makes me question what I know about myself, but this is my favorite street in the world. 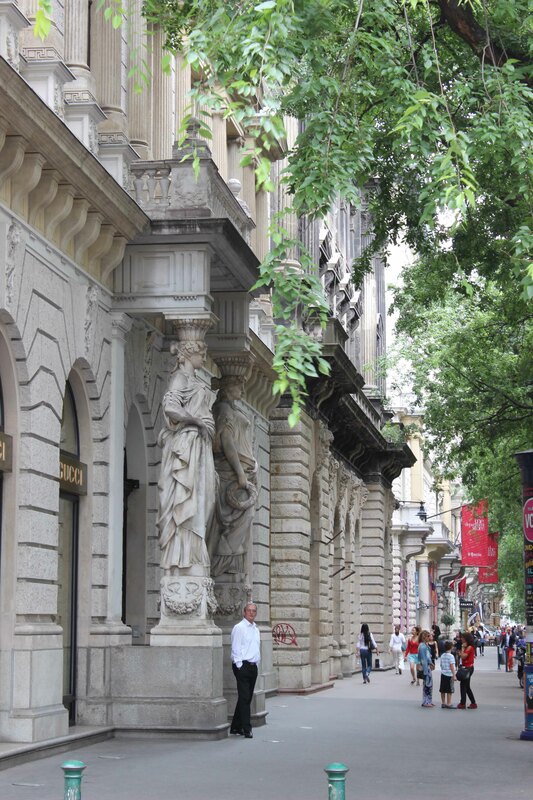 More practically, Istiklal connects Taksim Square to Galata in one long, Grande Rue through Pera. 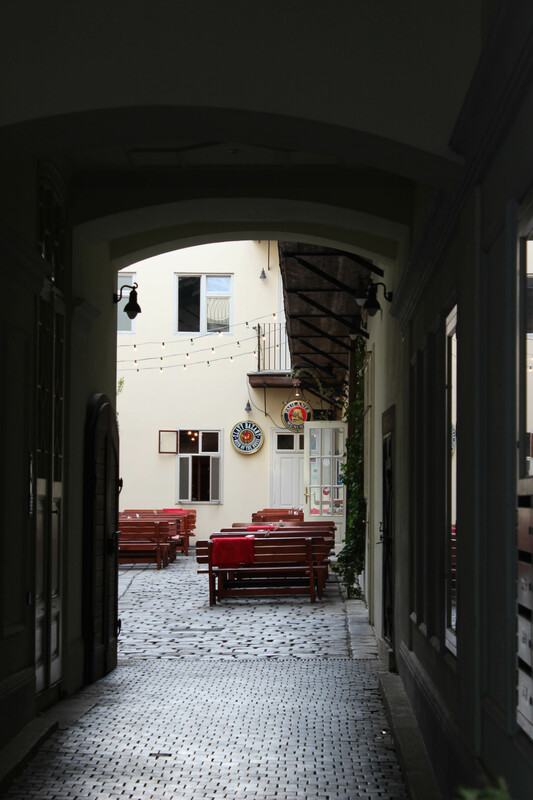 You will find the common big-city shopping, but the real gems are usually found on the little “sokaklar” or alleys/lanes that run perpendicular to Istiklal. You can find vintage clothing stores, ersatz markets, street food vendors, sweet shops, döner stands, nargile cafes, music venues, punk rock bars, top-quality restaurants, hole-in-the-wall büfes, and pretty much anything else you could possibly think of, and even some things you probably can’t. We are 93% sure we bought şalvar from a genie on Istiklal, but that’s a story for another day. The foot traffic is incredible (it’s “mostly” pedestrianized), and you will never once lack for visual, aural, or olfactory stimulation, good and bad. It’s crowded, it’s chaotic, it makes no sense, and I love it dearly. In my personal opinion, this is the street to end all streets. Do not, repeat do not, die until you’ve walked Istiklal. Andrássy is very different in character from Istiklal. 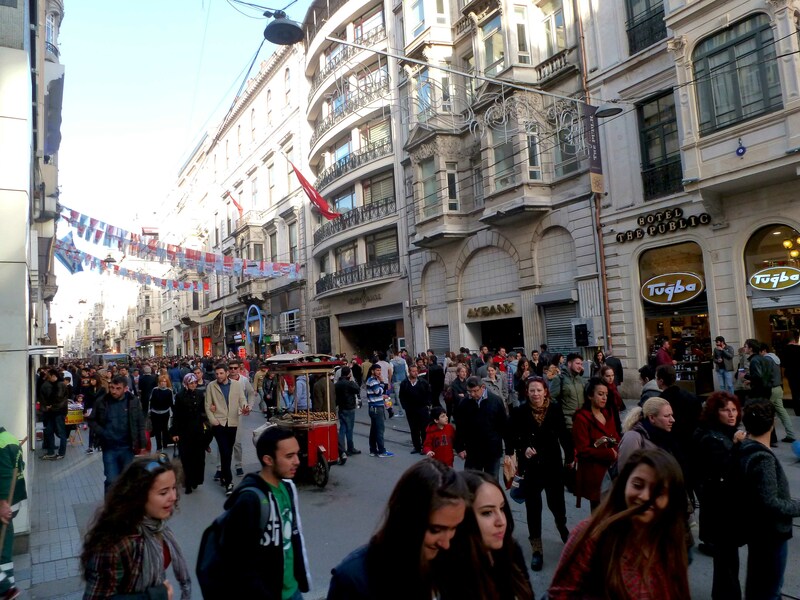 First of all, it is a main vehicle traffic thoroughfare, unlike the pedestrianized Istiklal. But the sidewalks are broad and foot traffic is heavy here too. Andrássy is chock full of very high end shopping, probably the best in Budapest if you’re not like me and you actually buy things. It’s full of trees and greenery that give the entire place a welcoming canopy. And its ends are both interesting in their own right – on one end is Heroes’ Square; on the other is Erzsébet Tér, which I’d certainly include on your stroll down Andrássy. 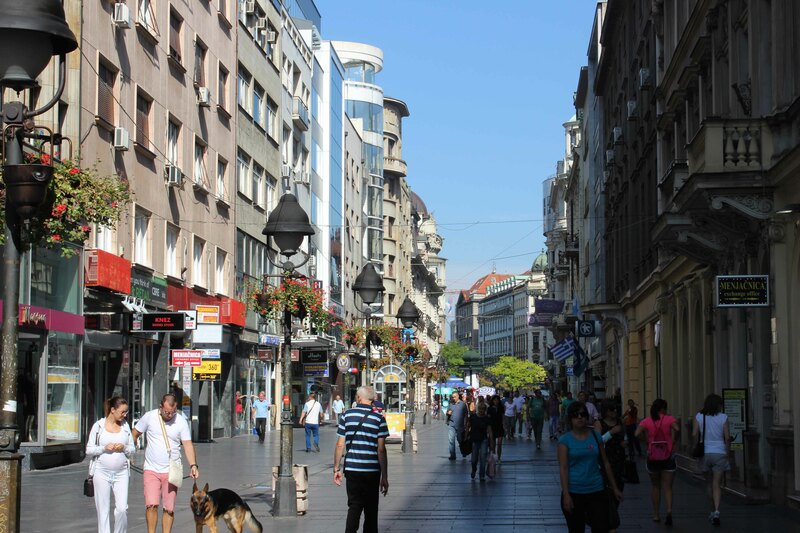 Another pedestrianized thoroughfare, and this time truly only for pedestrians, Knez Mihaila runs through the heart of the old city of Belgrade, from Terazije to Kalemegdan Fortress. The street is full of life, and you’ll see no shortage of vendors, cafes, street artists, businessmen, and flaneurs. This kind of energy is a bit more laid back than some of the streets on this list. You don’t get the impression that too many people here need to get where they’re going soon. That makes it a great place for a stroll, and when you get to the end, a visit to Kalemegdan should be considered necessary. Florianska is a wide and well-traveled pedestrian street within the walls of the old city, which no longer exist but were replaced on the same footprint by a park, courtesy of the Austrians. Florianska itself is a great walk, but the real gem here is the medieval market square. 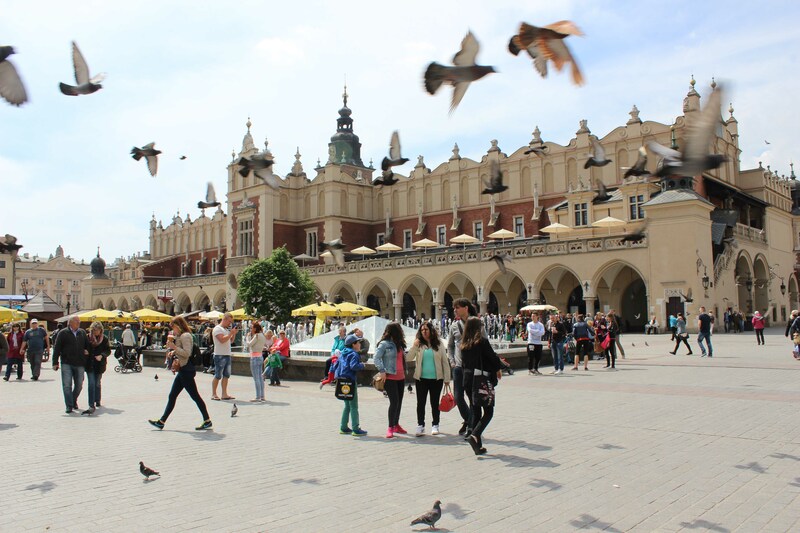 In fact, I think this is the real gem of Krakow. You have probably seen market squares in your travels, but I somehow doubt you’ve seen another one this size. It is truly enormous, and it’s usually packed full of people taking in the vistas of the stunning cathedral, the history, and probably some meat and beer. You’ll find stalls set up and decked out with a veritable abattoir of carnivorous delights – pork knuckles, sausages, chops – and, of course, beer, which is pretty darn good in Poland. Any visit to the area should include a walk down Florianska into the square. The Spanish poet Federico García Lorca said that this was “the only street in the world which I wish would never end,” and I’m sure many would agree. First the bad news. It is a major world tourist destination, and so packed full of vendor kiosks selling cheap, plastic crap and restaurants catering to those who don’t tend to look much at the total on the check. 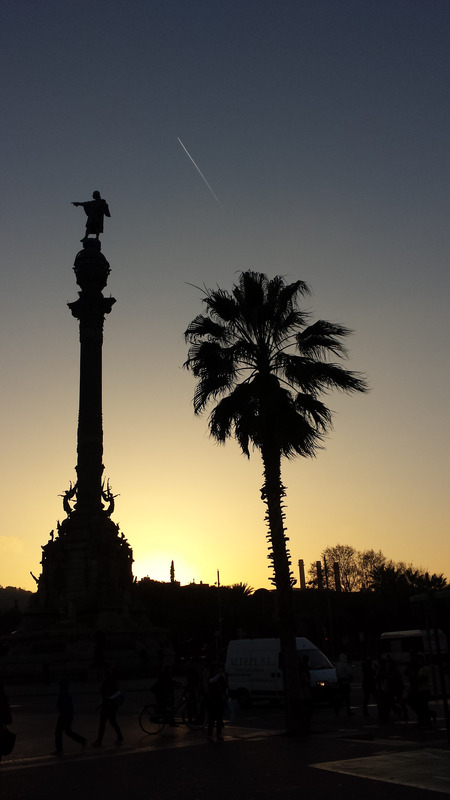 But that’s about it; otherwise, it’s stunning, with wonderful greenery all around, big and wide pedestrian areas, a modern mosaic by Miró, an impressive Plaça on one end, and a Mediterranean beach on the other. Kärntner is another pedestrian avenue in the heart of the old city. (There may be a theme emerging here.) Like much of Vienna itself, it can be quite posh and expensive. But the monuments, fountains, and buildings are ornate, unique, and beautiful, which I suppose is also like much of Vienna itself. In fact, Kärntner Straße may just be a bit of triple-distilled Vienna. If you’ve only got a layover, but you want to see Vienna in a snapshot, you would be well served by a visit here. And I would be remiss if I didn’t make note of the fact that, like Florianska, Kärntner spills onto a public square, where you’ll find a stunning cathedral. 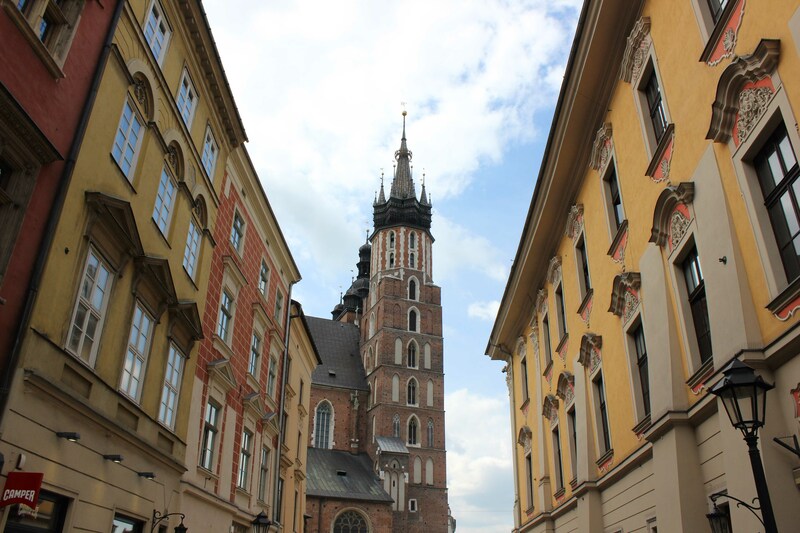 This square may not have the sheer size of Krakow’s, but does Krakow’s cathedral have an Ottoman cannonball lodged in its buttress from the 17th century siege of the city by the Turks? I think not. 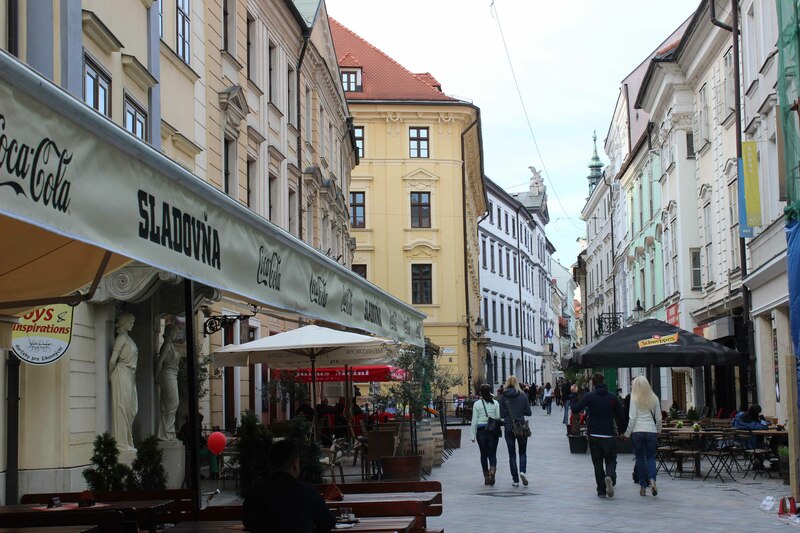 This twin street, whose name changes at an intersection, cuts through the heart of Staré Mesto, or the Old Town of Bratislava, which is charming, energetic, and fun. It ends on another great street/public square that runs parallel, called Hviezdoslavovo. The medieval center of Bratislava is nicely preserved in many places, and the Danube riverfront is just south. 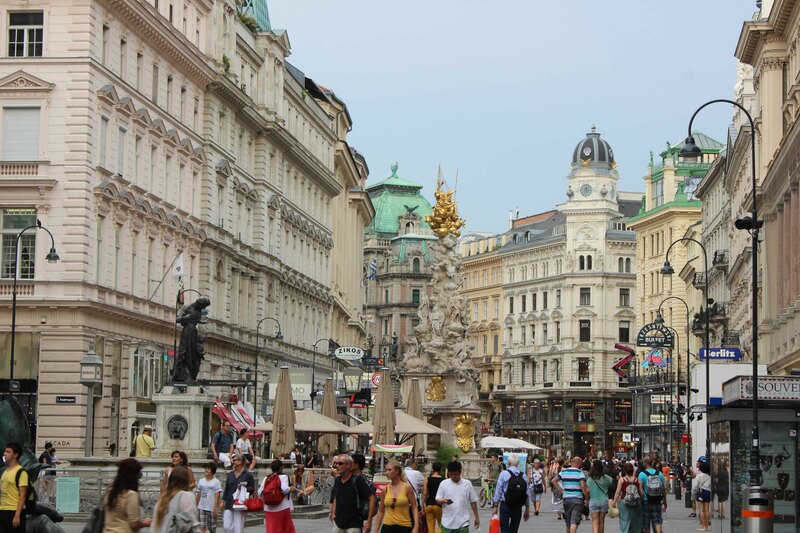 Vienna is only an hour away, but these cities are worlds apart in how they look and feel. I was very pleasantly surprised by Bratislava generally, although if you’re expecting to buy your own five-star hotel with a nickel like in the movie “Euro Trip,” you’ll be a bit disappointed. I was made to understand that they’re not particularly fond of that movie in Bratislava, but they certainly despise it less than “Hostel,” the slasher flick set in Bratislava but – as was emphatically repeated – filmed in the Czech Republic. I digress. While not at the top of most tourists’ minds, Bratislava is worth a visit, especially if you’re in the area of Vienna or Prague, and no visit is complete without a stroll down Michalská and Ventúrska. This is probably cheating because I didn’t pick one, but the waterfront promenade is such a compelling place in so many Dalmatian cities. 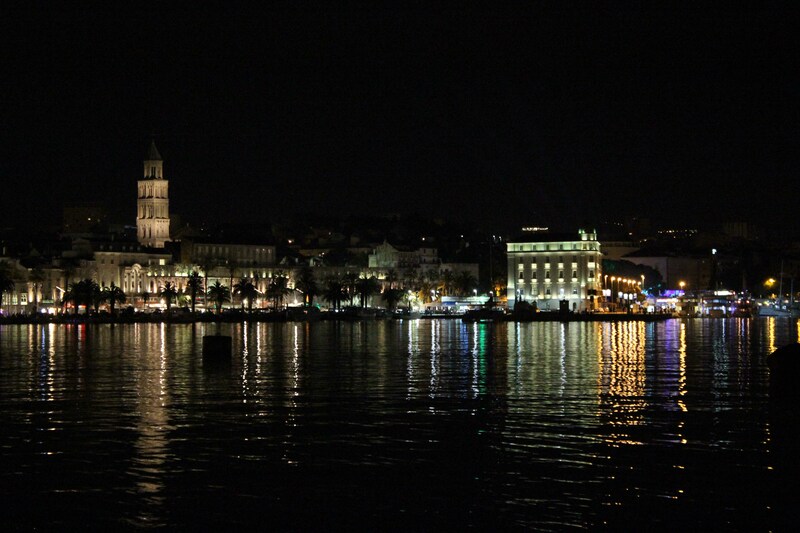 I have a fondness for Zadar and Trogir too, but our home city of Split has a great one. 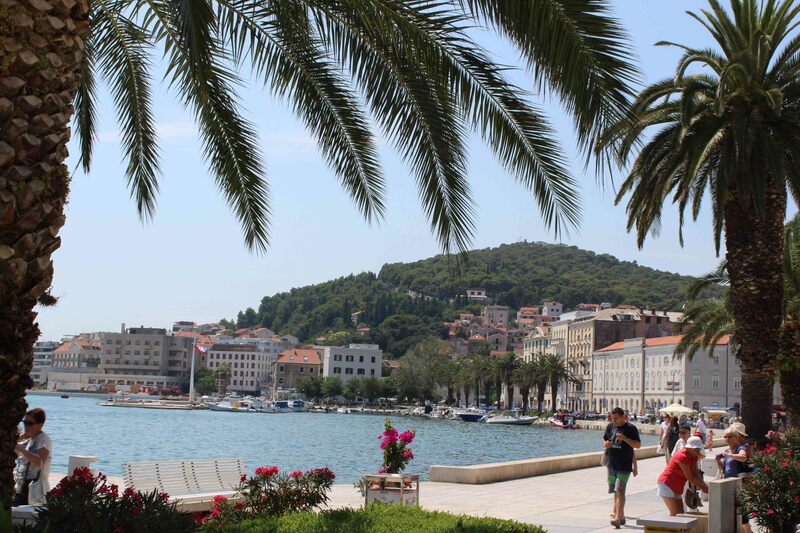 It’s memorably named Obala Hrvatskog Narodnog Preporoda, which should tell you why everyone calls it the Riva. Split’s waterfront promenade extends from the Aci Marina, where the mega-yachts come home for the night, to the ferry port for inter-island and even inter-country transport, but it is centered on Diocletian’s Palace, an early 4th century Roman palace used as the world’s fanciest retirement home by the Emperor Diocletian, the only Western Roman Emperor who ever (truly) voluntarily retired. 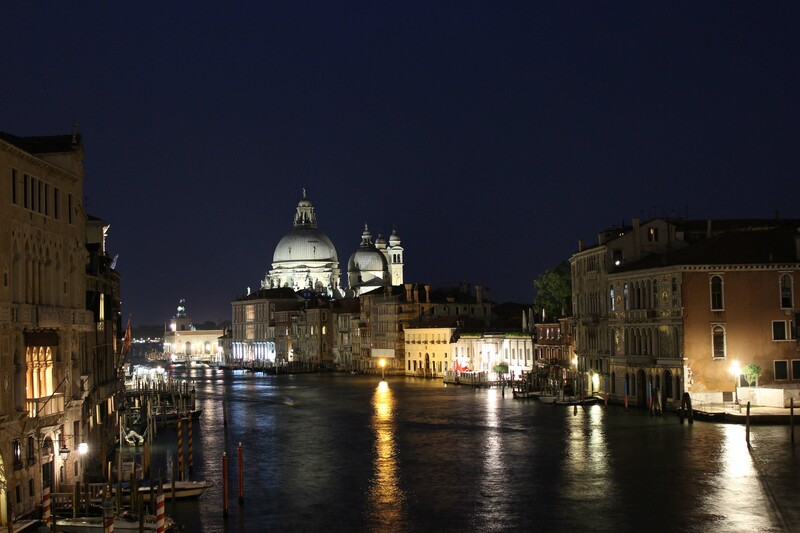 From a cafe on the Riva, you can look in one direction at a Roman palace and in another at a seaside sunset. It’s hard to beat that. Okay, this one is definitely cheating – it isn’t even a street. But for a city as unique as Venice, it actually makes perfect sense. And although your ankles might get a bit wet if you try to walk it, the Grand Canal is every bit the great street that any of the others are. Touring the canal is a Medieval, Renaissance, and Romantic history lesson. You can see where Byron lived (and where he swam to settle a bet), where popes, queens, and doges were born and raised, where Casanova slipped out the windows of his lovers’ palazzi, where Napoleon gazed on the seat of the empire he ended. This may be the prettiest history lesson you’ve ever taken.